Hippo Head Garden Statue. 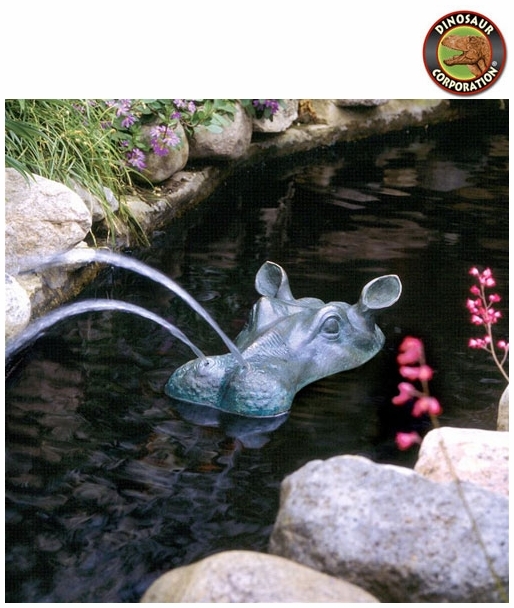 Our exotic bronze garden hippo has poked his massive head up from his relaxing pond to see what's cooking on the barbecue. 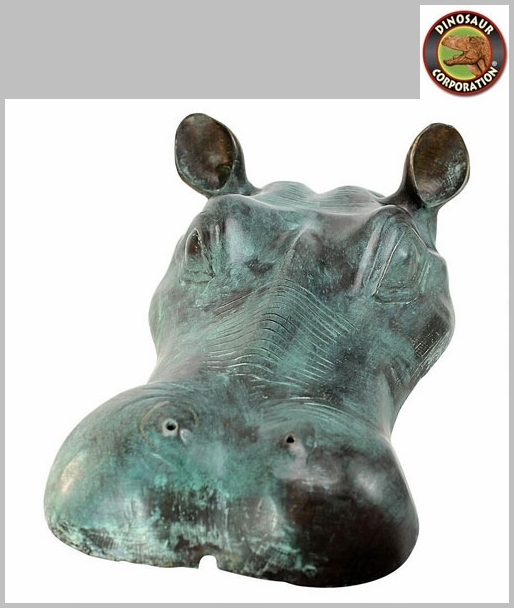 When you see this realistic, solid bronze hippo head statue emerge from your pond or fountain, you'll do a double-take before ducking out of the way of the streams of water spraying from his flared nostrils. * Size: 9" W x 20" D x 5" H.